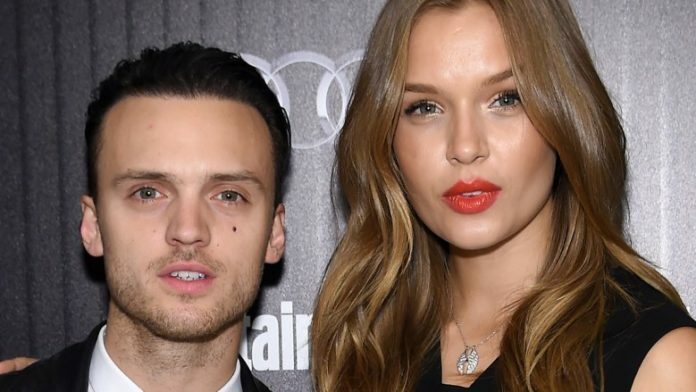 Skriver took to Instagram to share that her boyfriend, singer and musician Alexander DeLeon, proposed to her while they were on vacation in Finland on Friday, Nov. 23, 2018. “I SAID HELL-FREAKIN’-YES!!!! I’M ENGAGED,” she wrote in the post’s caption, alongside photos of the couple’s snowy engagement. The 25-year-old noted that DeLeon had driven them to Finland to see the northern lights, which was something that was on her bucket list. And the date that DeLeon popped the question had significant meaning for the model, as Skriver explained to her fans that “23 is my lucky number” and that the 23rd was the day that her now-fiancé’s song “Aurora Borealis,” which was apparently written about her, was released. As Us Weekly noted, DeLeon was recently seen supporting Skriver at the 2018 Victoria’s Secret Fashion Show in New York City.